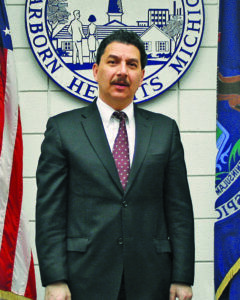 DEARBORN HEIGHTS – A changing city requires a change in leadership. 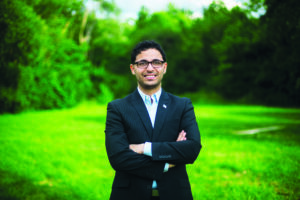 That is the premise many of Dearborn Heights’ City Council candidates are running their campaigns on as the August 8 primary elections draw closer. Reflected in the increase in Arab Americans running, the city’s demographics are drastically changing. Many residents are small business owners and own upscale homes, which generate a great deal of the city’s tax base. Yet, over the years, some residents have claimed Dearborn Heights’ departments (including City Hall, police and fire) by and large fail to keep pace with changes and pursue adequate representation. 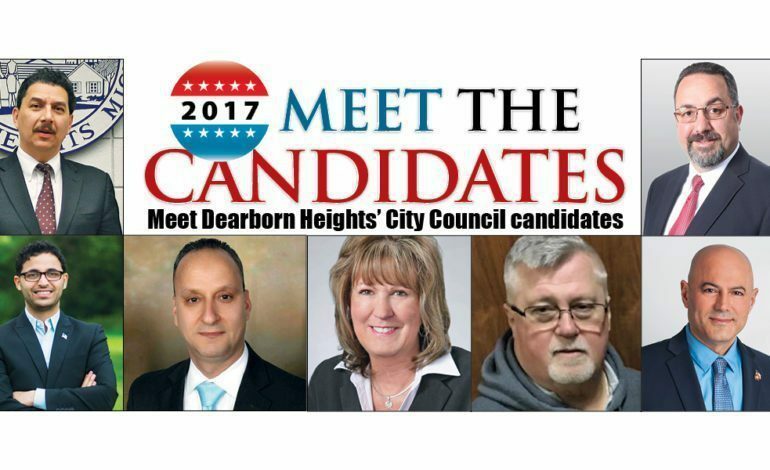 There are 10 candidates who have thrown their hats in the ring for Dearborn Heights’ City Council – many of whom are vowing to address these shortcomings once elected. Four of them are Arab Americans. Their names will appear on the August 8 primary election ballot. The top eight will advance to the general elections on November 7 to compete for the four seats up for grabs. Q1. Why do you feel you are a qualified candidate for the job? Q2. What is one of the biggest challenges facing the city and what would you do to meet it? Education: Dearborn Heights Public Schools, B.A. from the University of Michigan, J.D. from the University of Detroit. 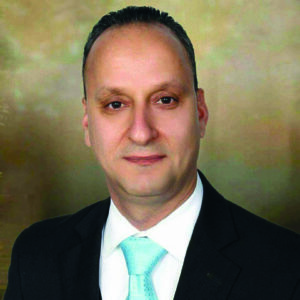 Profession: Attorney, former Dearborn Heights State Representative. A1. I am well qualified to serve on the Dearborn Heights City Council. I have the education, background, and experience necessary to be an effective City Council member. I was elected to the Dearborn Heights City Council, then was elected 16th District state representative. After serving in the Michigan Legislature, I ran for the open seat on the City Council. I have a 100 percent attendance and voting record, both on City Council and while serving as state representative. A2. An important challenge facing the city of Dearborn Heights is maintaining our neighborhood and high quality city services. The city of Dearborn Heights does not have the large business tax base that the city of Dearborn enjoys. Dearborn Heights is a bedroom community The city must maintain clean, safe neighborhoods. The influx of Arab American home buyers has improved property values and the size and quality of homes in the city of Dearborn Heights. Education: Master’s and B.A. in aerospace engineering/aeronautics from Embry-Riddle Aeronautical University. Profession: Ford Motor Company as a design and release engineer. Former quality manager/auditor at Boeing Company, 21 years in the United States Marine Corps. A1. Through my educational and extensive real world leadership and teamwork experience, my duties have entailed analyzing complex issues and finding lasting and effective solutions. With 21 years of military service and in working for two world renowned corporations, I have been responsible for establishing products and procedures that conform to government/business regulations, rebuilding and increasing economic revenue. As a volunteer, I serve on a multitude of boards and initiatives that allow me to interact and enhance the lives of children, veterans, senior citizens, and communities at large. A2. 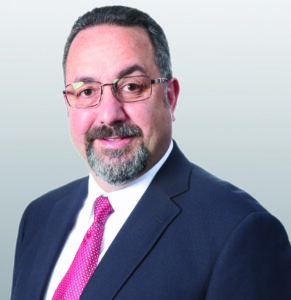 One of the biggest challenges in Dearborn Heights is the disconnect between the residents/ business owners and city officials. I will work in collaboration with city officials, to create effective protocol measures to channel residents’/business owners’ issues and concerns, and establish workable solutions in a timely manner. Graduated from the Taylor School District in 1974. Profession: Detroit Tigers at Comerica Park as an usher since 2014, retired from the Taylor School District in 2012 after serving 30 years as bus driver/maintenance. A1. I served as water commissioner for Taylor, president at Sons of the American Legion, executive board at Taylor Democratic Club and Our Lady of the Angels Church and bingo chairman at the Sons of the American Legion. I am retired and I would love to give time back to my city and make it the best place to live, raise a family, work and play. I will do the best job I can! A2. We need more police and ordinance officers so our city is cleaner, safer and properly maintained. No one wants to live with all the blight, grass that needs cutting and unsafe streets. We need more police on patrol. Residents do not care about their home and what it looks like. I would look into grants or bonds to help pay for increasing police and ordinance officers without raising taxes! Education: Bachelor’s degree from Wayne State University, Master’s in public administration from Central Michigan University. A1. I am running for office because I believe that I could provide a fresh perspective, enthusiasm and outside-the-box thinking to our City Council. I am asking people to consider my background as a small business owner and community volunteer when they cast their vote and have been working hard going door-to-door to introduce myself to residents personally. I want everyone to see that I will be a hardworking, transparent, and accessible council member. A2. If elected to City Council, my top priority is improving the quality of life for all Dearborn Heights residents. This goal manifests itself in a number of ways: rejuvenating programs and services for seniors, improving city services while enhancing public safety, maintaining fiscal responsibility and a balanced budget, cutting red tape to encourage business and job growth, revitalizing parks and recreation opportunities for our youth and restoring trust and transparency in our local government. Education: B.S. in administration from Central Michigan University and M.B.A. from the University of Detroit Mercy. Profession: Over 20 years leadership experience in the healthcare and small business owner. A1. My decision to run for City Council is rooted in a strong desire to serve my community in elected office. I am confident in my ability to offer new ideas and perspectives to usher much needed change and improve upon the qualities that make our city a great place to live, raise a family and do business. 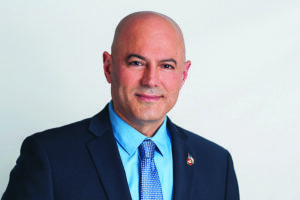 As I work tirelessly to represent and serve my fellow residents, my priorities will always be fiscal responsibility, transparency, the public’s health and safety, providing quality services and economic growth. A2. The city is having limited financial resources to strengthen and protect our neighborhoods and provide quality services. I will encourage our leaders to think differently about ways to generate revenues or control costs rather than just simply increasing taxes or cutting city services. I will collaborate with all stakeholders in our city to leverage the ideas and opinions of others in an effort to set realistic goals and objectives, develop transparent plans to achieve those goals and to create effective policies and programs designed to address current challenges and issues with financially responsible and sustainable long term solutions. Education: Associate degree in real estate. Family: Married with three boys. A1. We have a lot of challenges and issues we need to be addressed and I look forward to reaching out to people, then come together for a better life and better future, especially when it comes to our youth. Young people are facing a lot of issues. We should be concerned for their future regarding the drug use and family problems. It is epidemic we need to face. A lot of families are suffering from divorce separations. A2. It’s obvious that we are facing property taxes higher than even water bills. City ordinance people complain about growing marijuana around the neighborhoods. it’s not just one issue or one challenge. On city budget spending, we need better roads and middle schools. Homeowners need to maintain their properties and much more. Education: Business management from Madonna University. 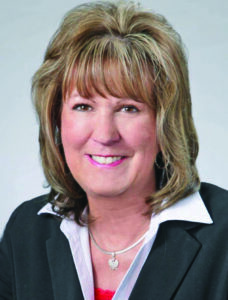 Profession: Retired from AT&T, Retired as a general contractor/manager in housing projects. A2. This is my hometown I came here at the age of 2 from Dearborn. I want to repair the roads, enforce ordinances because I want to protect our property values and increase them. 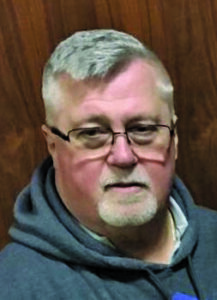 • Councilman Tom Berry’s name will appear on the ballot, although he announced in early June that while he will finish his term, he will no longer seek reelection. He urges residents not to vote for him. • Candidates Ned Apigian, Tom Wencel and Lisa Oshanski did not respond to The AANews’ repeated requests in time for publication.